Classic boats have been flying off sellers’ shelves, (or is it decks? ), like hotcakes. Those who understand the sailing world will find no surprise in this. New enthusiasts in the field, may, however, fail to understand why old models are in so much demand when there are more technologically advanced boats in the market. Well, there are countless reasons why classic boats are so much desired. Here are a few of them. Boats are among the earliest means by which man was able to explore the open water. After canoes and rafts, boats were the first piece of advanced technology for venturing out into the waters. Every other type of water exploration has been developed from the basis of this type of vessel. Boat enthusiasts, therefore, love going back in time, to appreciate the culture that saw terrestrial man conquer the seas, and other expansive waters. Not everyone goes boating. It is a practice for just a select few. The people with class. Having a boat, and going out on a cruise, speaks volumes about the owner. That becomes even more pronounced when you go aboard a classic boat. It sums up your entire being in one word; sophisticated. Stories have often been told, and retold, about the sailors of old. Most of these stories are captivating, and border on fiction. This stirs a feeling of curiosity among many people and propels them into classic boat exploration. Using classic boats offers a great chance to mix the past and the present. How would sailors throughout history have performed with a few tweaks from the modern technology? 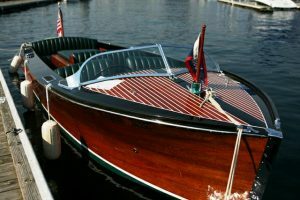 Creative people are able to soup up classic boats, so you have an old age vessel with the potential of a current model.